Seeking words of peace over threats of nuclear war, Women Cross DMZ, in partnership with the Nobel Women’s Initiative and the Women’s Peace Walk, a coalition of more than 30 women’s peace organizations in South Korea, met in Seoul on May 24-26 for the #WomenPeaceKorea: A New Era delegation. 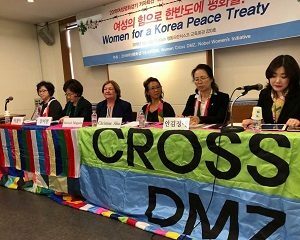 Despite cancellation of the Korea peace summit originally schedule for June 12, 2018, a delegation of 30 female security experts and peace activists from around the world met May 25 with government officials and foreign ministries in Seoul. 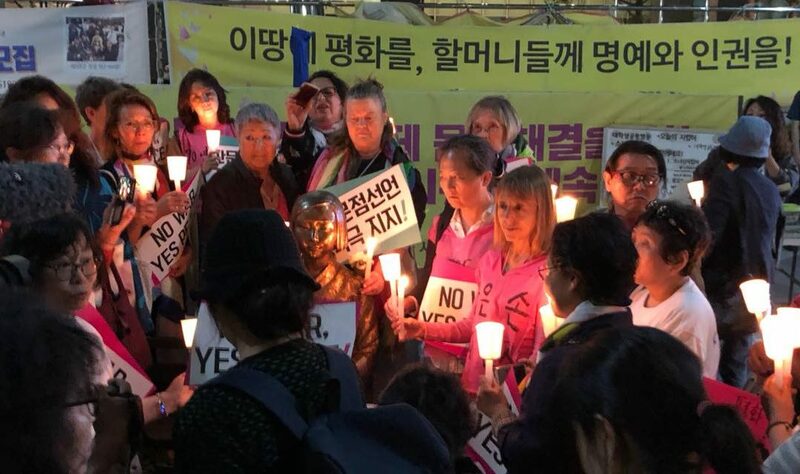 Their American delegates met with diplomats at the US Embassy to discuss how women can play a constructive role in establishing a diplomatic peace process between the United States and North Korea. The delegation also decided to conduct a Global Day of Solidarity with the Korean people for peace on June 12. 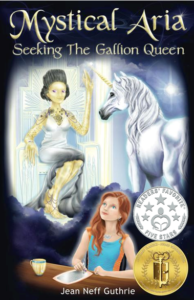 In the award-winning tween fantasy, Mystical Aria: Seeking the Gallion Queen, based in 2028, Queen Supreme Nashata rules good aliens who have learned to live in peace on their planet. 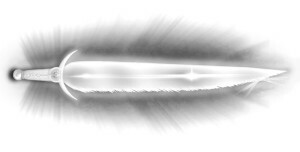 This spiritually advanced alien queen tests a psychic twelve-year-old from Virginia Beach, Aria Vanir, for first contact to help humans evolve. Can women, men, and kids at the grassroots level persuade government officials to bury the nuclear hatchet and ink an agreement for peace? 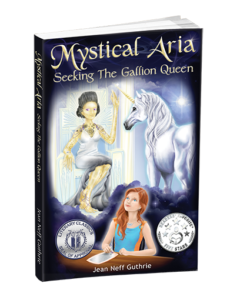 Jean Neff Guthrie is the author of Mystical Aria: Seeking the Gallion Queen, which hit Amazon #1 Best Seller in February, 2016. 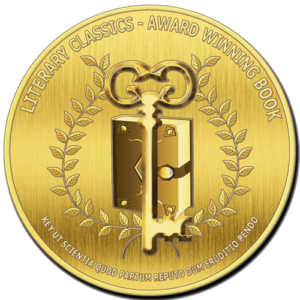 In 2017, her novel won a Gold Award from Literary Classics for Tween Fantasy. Visit www.JeanNeffGuthrie.com for novel highlights and purchase. Click here for VIP Access to Aria, which includes two free chapters, character map, promotions, news, fun facts, and more.